Step up to two of the best high performance engine components on earth! The first step Rollmaster took in creating the world's best chain and sprocket timing system was to utilize billet steel construction for the upper and lower sprockets rather than cast iron. This reduced wear and improved accuracy by providing 100% CNC machined surfaces. Next Rollmaster determined that the easiest, most accurate and dependable method for providing adjustability in cam timing was to provide nine keyway positions on the lower sprocket. This eliminated the need for offset bushings and proved much more reliable and positive than adjustable eccentric style pins or multi part upper sprockets. Nine keyways were not possible until Rollmaster produced the lower sprocket from billet steel. Cast iron simply cannot provide the strength necessary when material thickness and mass are reduced by the keyways. Billet can provide the strength, and has proven so for 25 years. 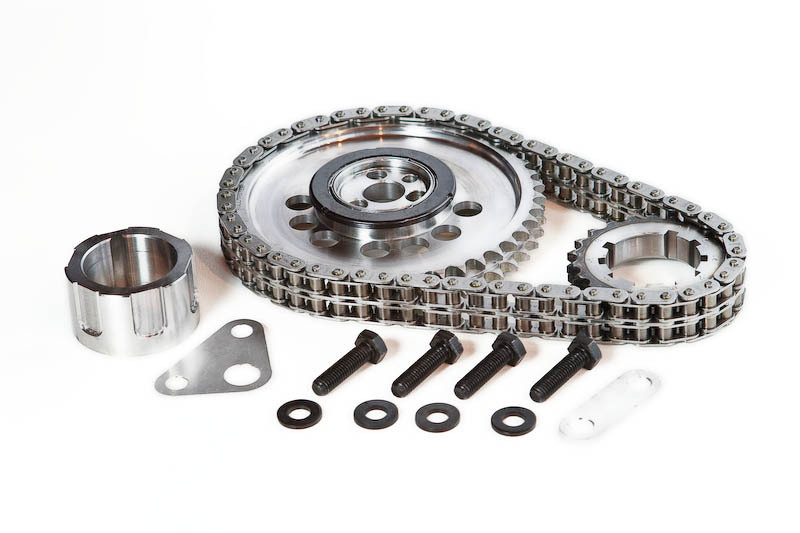 Once sprocket material and adjustment method had been determined, the search was on for a chain that would meet the quality standards set by Rollmaster. In an extensive round of destructive tests on 50 brands of chain, it was determined that Iwis chain, produced in Germany, out-performed any other brand. Rollmaster then suggested engineering changes to the existing Iwis chain to make it even better and this improved product became a Rollmaster exclusive by Iwis. In the years since 1980, Rollmaster has grown in coverage and availability, they have continually upgraded material, machinery, and processes to stay ahead of the curve on quality and provide accurate timing sets. 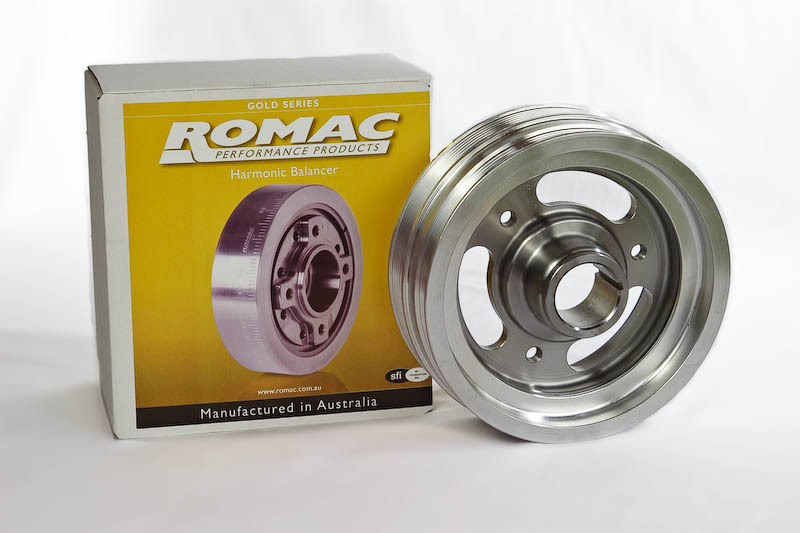 Since 1980, offset bushing are pretty much a thing of the past, and the manufacturers of those adjustable upper gears are now all racing to produce billet sets with nine keyways, but none can match the accuracy of Rollmaster or the quality of the exclusive Iwis chain.